A senior PSNI officer has said the recent actions of the east Belfast UVF are at odds with the commitment to peace the organisation made earlier this year. Assistant Chief Constable Alan Todd on Wednesday evening issued a statement saying the PSNI had received information from the community indicating the east Belfast UVF intended to orchestrate and participate in serious disorder directed at officers. The warning came after a day of tension after contractors escorted by police cleared two bonfire sites at Bloomfield Walkway and Cluan place in the east of the city. Assistant chief constable Alan Todd, speaking on BBC's Nolan Show, said the east Belfast UVF was not living up to a combined statement issued on behalf of the UVF, UDA and Red Hand Commando in April which stated they supported the rule of law and that any members which engaged in crime would be forced out. "I issued the warning personally last night about what our concerns were," he said. "Those are real concerns based on real community intelligence and intelligence from within the police service as well. ACC Todd continued: "There is absolutely a gap on our assessment of that organisation or that branch of that organisation and there activities, and their statement issued earlier this year. "I don't want to be accused of lacking clarity on that. What is playing out at the moment is at odds with that statement and that is for those people to come forward and address that. "There are many organisations within that statement, there are many branches within those organisations. Certainly east Belfast UVF in terms of committing crime and being involved in lawlessness potentially around disorder yesterday is absolutely at odds with that statement but that is for them to answer." 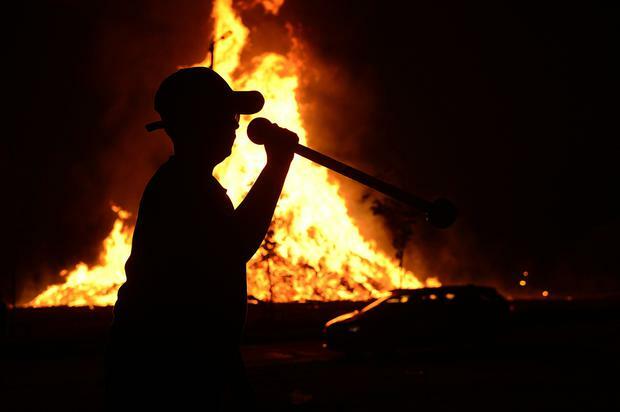 The Eleventh Night celebrations descended into violence in parts of Belfast and Co Down on Wednesday evening. There was major disruption as cars and buses were torched on roads, and Belfast City Airport was placed under lockdown for a while as police dealt with a suspicious object on the Sydenham Bypass. 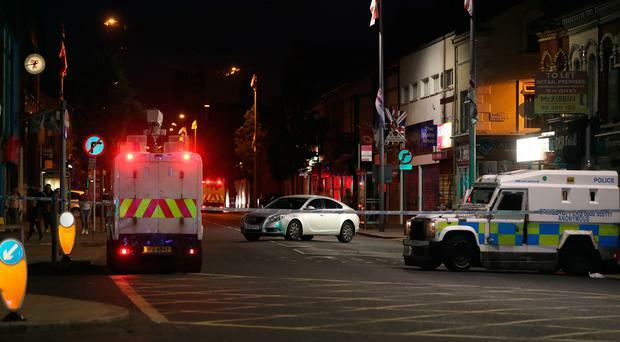 Masked men also obstructed the main route to the Ulster Hospital by pushing a vehicle onto the Upper Newtownards Road closed to the junction with Robbs Road at around 9.45pm. ACC Todd said in total 13 vehicles were burnt out- with some of them being hijacked. However, speaking earlier on Good Morning Ulster, ACC Todd said that violence orchestrated by the east Belfast UVF "failed to materialise on a widescale". In a statement issued the the PSNI, ACC Todd praised his officers. “No part of this is acceptable and today we are looking at the evidential picture to pursue lines of enquiry," he said. “I would like to pay tribute to the job that my officers, along with other emergency services, did last night. “The disorder we have seen has been caused by a small minority of people who have no regard for their communities. No one wants to see disruption and disorder and the people behind these incidents need to ask themselves just what they are achieving. “I sincerely hope that today passes off peacefully and that the thousands of people who are attending community events and parades can do so enjoyably and safely. General view of the PSNI officers at the scene of the Cluan Place bonfire in east Belfast as contractors remove material from the 11th night bonfire. Photo by Kelvin Boyes / Press Eye. 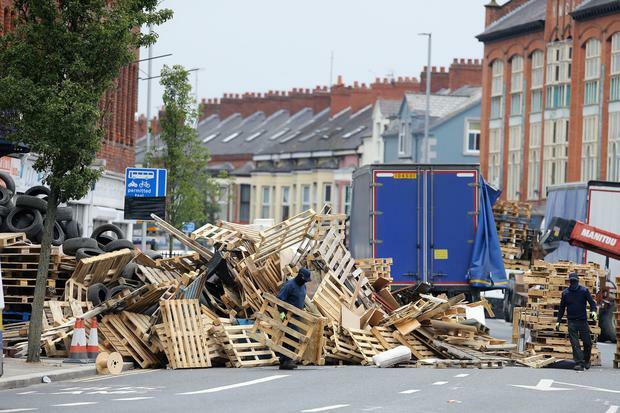 11th July 2018 - Picture by Matt Mackey / PressEye.com The 11th night bonfire is dismantled in Cluan Place in East Belfast. Councillor Jim Rodgers speaks to the police. Photo by Kelvin Boyes / Press Eye. Press Eye - Belfast - Northern Ireland - 11th July 2018 General view of the PSNI officers at the scene of the Cluan Place bonfire in east Belfast as contractors remove material from the 11th night bonfire. A large police operation was also put in place with over 100 PSNI officers in riot gear present at the scene. Photo by Kelvin Boyes / Press Eye. Press Eye - Belfast - Northern Ireland - 11th July 2018 General view of the PSNI at the Albertbridge Road in east Belfast as contractors removes material from the 11th night bonfire in Cluan Place. A large police operation was also put in place with over 100 PSNI officers in riot gear present at the scene. Photo by Kelvin Boyes / Press Eye. Press Eye - Belfast - Northern Ireland - 11th July 2018 General view of the PSNI officers at the scene of the Cluan Place bonfire in east Belfast as contractors remove material from the 11th night bonfire. A large police operation was also put in place with over 100 PSNI officers in riot gear present at the scene. Jamie Bryson at the scene. Photo by Kelvin Boyes / Press Eye. “I would ask all of those with influence to work with us to ensure the safety of all."